The last fitness app you’ll ever download. 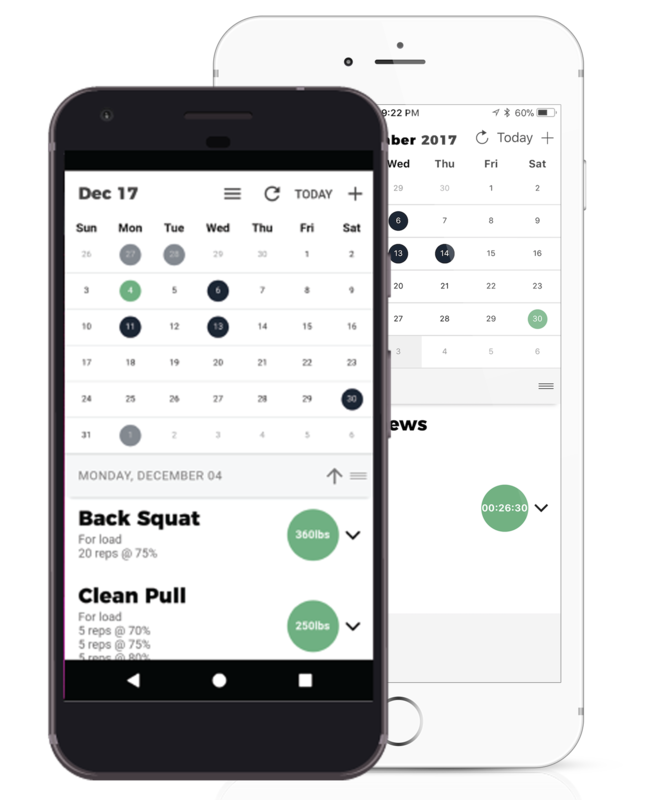 Not your average workout tracking app, Gym Journal will help you reach all your fitness goals and more. Gym Journal provides you the tools to plan ahead and reach your goals. Schedule out your whole week and set micro goals to keep yourself on track. Whether you have a coach or not, Gym Journal provides you with all the tooling you need to plan, log, compete and improve. 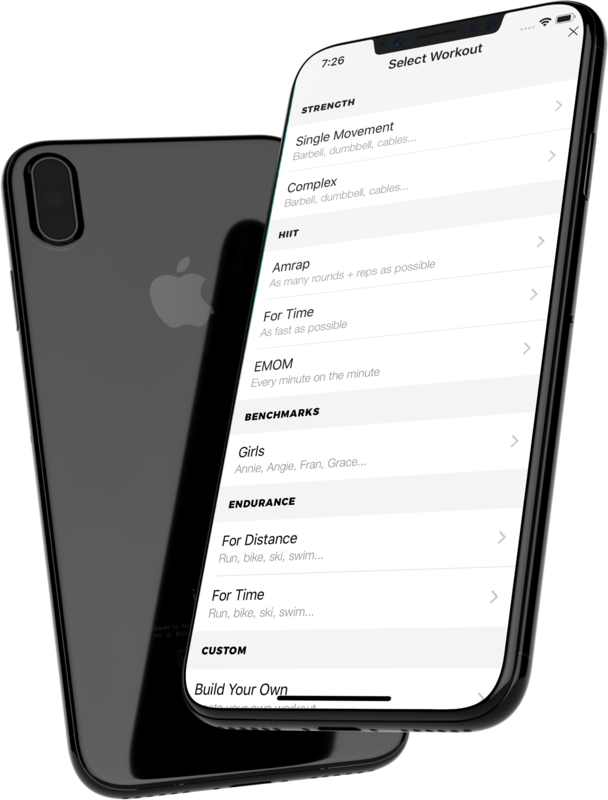 We set out to build an athlete first platform, the rest is just an added benefit. Give your athletes a better experience. 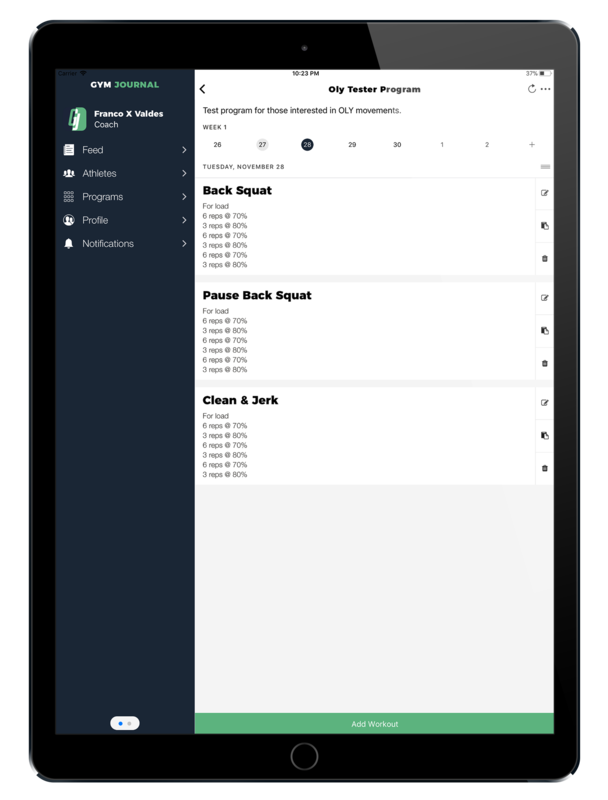 Gym Journal truly provides the simplest logging interface your athletes will ever use. Spend more time coaching and less time working on spreadsheets and emails. Gym Journal's web and mobile platforms provide you with all the tools you need for your athletes to excel.